HH Dow High MSBOA State Solo and Ensemble Impressive Results! On March 18, 56 DHS students traveled to Lapeer High School to participate in a total of 43 events at MSBOA State Solo and Ensemble. Students had to perform a prepared piece for a judge, and in the case of sophomore, junior, and senior soloists, they also had to perform scales and sight-reading. In addition to these scores, some DHS students were nominated for the Michigan Youth Arts Festival, which is held at Western Michigan University in May. ♫ Grace Ridley was nominated to audition to be a featured piano soloist at the MYAF. ♫ Nathaniel Kalantar was nominated to audition to be a featured cello soloist at the MYAF. ♫ Tia Li was nominated to be a member of the MYAF Honors Orchestra on viola. Tia was also nominated to audition to be a featured soloist on both viola and piano. ♫ Sydney Wynne was nominated to be a member of the MYAF Honors Band on horn. Congratulations to all of the talented Charger student musicians who participated! Dow High’s Band and Orchestra together sent 71 events. One did not receive a score because it was two short. Two earned third division ratings. Thirteen earned 2nd division ratings. Fifty-five earned first division ratings. Of those fifty-five, forty-seven will be participating in state solo and ensemble in Lapeer on March 18, 2017! Congrats! The HH Dow High School Choral Program sent 19 events to MSVMA District Solo and Ensemble. One event received a Division II rating and 18 received Division I ratings, qualifying them for State Solo and Ensemble in April 2017! 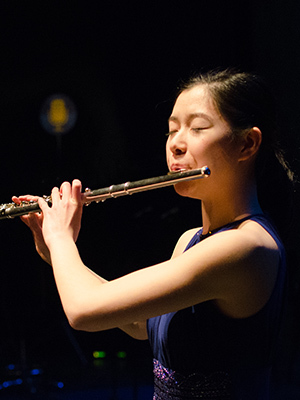 Ayana Terauchi was named one of four winners in the Michigan Youth Arts Festival Soloist Competition. She will now have the opportunity to appear with the Detroit Symphony Youth Orchestra in a Gala Concert on Friday May 13, 2016 at Western Michigan University. Ayana also won this competition in 2014. Five Dow High band and orchestra students were accepted into the Michigan Youth Arts Festival Honors Ensembles. Alfred Kalantar was invited to participate in the band, and Ayana Terauchi, Jacob Thomas, Rachel Lew, and Clayton Burlew were invited to participate in the orchestra. They will represent Dow High at the Michigan Youth Arts Festival in May. Congratulations to the 44 band and orchestra students who participated in State Solo and Ensemble Saturday 3/19/16 in Lapeer. The following freshmen received a first division rating on their instrumental solos. The follow students scored in the first division ranking of their proficiency solos, which means in addition to their prepared solo, they had to perform scales and sight-read new music to earn a score out of 100. Keon Beigzadeh scored a 91. Austin Burlew scored an 87. Clayton Burlew scored a 93. Sami El-Nachef scored a 97. Julia Fu scored an 87. Ethan Gallagher scored an 86. Mackenna Greene scored an 86. Alfred Kalantar scored a 94. Rachel Lew scored a 90. Hannah Loveless scored a 92. JR Nosal scored an 86. Jeff Podhorez scored an 85. Grace Ridley scored a 92. Michaela Stones scored a 90. Ayana Terauchi scored a 99. Jacob Thomas scored a 98. David Wang scored an 88. Congratulations all Band and Orchestra students who did a great job representing Dow High at Festival! On Friday March 4th and Saturday March 5th, 320 band and orchestra students participated in MSBOA District 5 Festival, an annual performance assessment for a panel of experts. Each group is awarded a rating from 1 to 5 with a 1 representing an excellent performance. Congratulations to Dow High Senior Ayana Terauchi! Impressive Solo and Ensemble Results! At District V Solo and Ensemble Festival February 13, Dow High was represented by 63 band and orchestra events. Those events, which ranged from solos to the 15-member honors orchestra were rated on a scale of 1 to 5. One event received a 3rd division (good) rating, ten events received a 2nd division (excellent) rating, and 52 events received a 1st division (superior) rating. In other words, Dow High had more first division ratings than most schools have entries. It was a great day to represent Dow High. Those 52 first division events now have the option of registering for State Solo and Ensemble, which will take place on March 19 in Lapeer. Congratulations to HH Dow Senior, Ayana Terauchi, who earned the honor of competing at the 31st Annual National HIGH SCHOOL SOLOIST COMPETITION in Washington, D.C. in August. 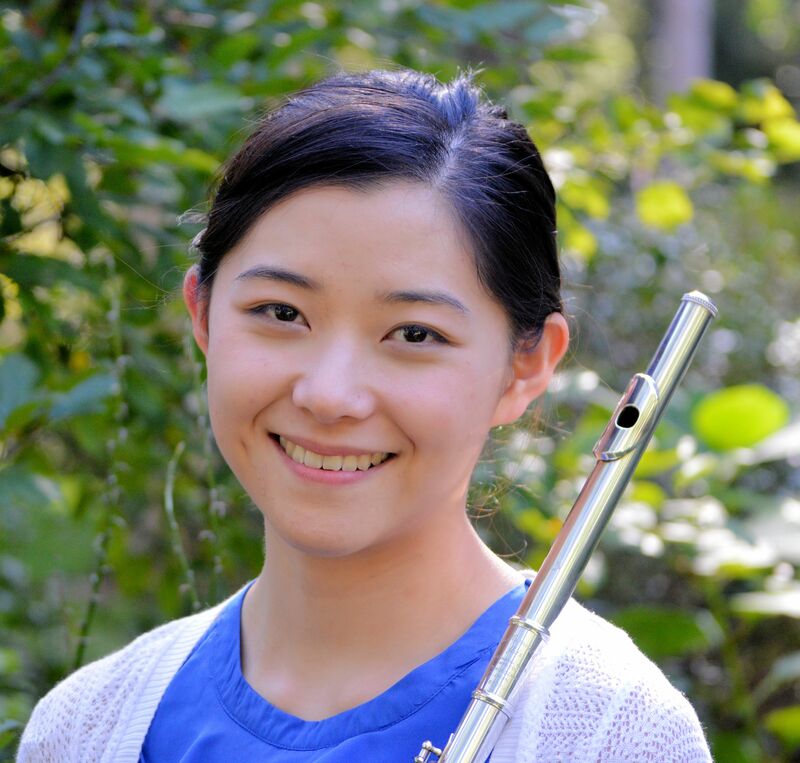 Ayana was one of eight outstanding high school flutists who were selected nationwide as finalists on the basis of their recorded preliminary auditions to compete at the 2015 convention in Washington DC. Judges awarded Ayana the honor of 1st place over all. In addition to 1st Place Nationally, Ayana earned 1st place as the best performance of the newly commissioned work. Congratulations to Ayana! Congratulations to Ayana Terauchi! She qualified as a soloist and performed for the Gala Concert of the Michigan Youth Arts Festival on May 9, 2014. The woodwind quintet comprised by Ayana Terauchi, Laurel Wellman, Julia Henry, Nicole Gallant and Kelly DeRees also performed at the Instrumental Collage and the Honors Concert of the MYAF. We had 27 band events at State Solo & Ensemble, with 26 I’s and 1 II. Laurel Wellman and Ayana Terauchi were both nominated for participation in the Michigan Youth Arts Festival Honors Band. Kelly DeRees, Laurel Wellman, and Ayana Terauchi were all nominated as MYAF soloists; they will audition at CMU on April 11. We also had three ensembles nominated for MYAF Small Ensembles: a woodwind quintet with Ayana Terauchi, Laurel Wellman, Julia Henry, Nicole Gallant, and Kelly DeRees; a percussion quartet with Jeremy Wisler, Matthew Rightor, Campbell Bortel, and Brigham Ostergaard; and a woodwind trio with Ayana Terauchi, Laurel Wellman, and Rachel Hill. The orchestra had 14 events participate at the State Solo & Ensemble. Of those there were 10 I’s and 3 II’s. Connor Reed was nominated to participate in the Michigan Youth Arts Festival. The Dow High Choir members participated in the State Solo & Ensemble: Emily Webb earned an Excellent rating and Christian Maday and Danielle Huntress both earned a Superior rating. The Choir also earned a Division I rating at Choral Festival. Congratulations to all of our talented band members! Symphonic Band, Gold Concert Band and Green Concert Band earned First Division ratings for superior performances at the MSBOA District 5 Band and Orchestra Festival held at Bay City Western High School on February 28 and March 1.